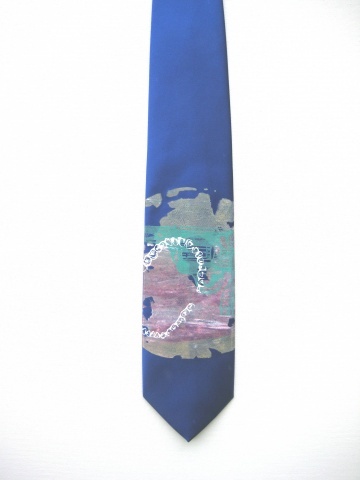 Unisex Tie. Blue Chomps is made up of three hand printings; which include a earthy sphere, a glow in the dark fragment of a pistol, and a set of pearly whites. one of a kind, people!